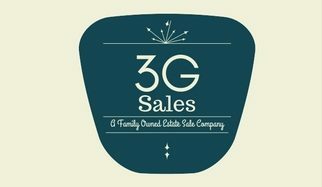 Welcome to Three Generations Sales! We are happy to have you. We specialize in managing, organizing, marketing, and operating estate sales, moving sales, and downsizing sales. We serve the hill country area including New Braunfels, San Marcos, Wimberly, Bulverde, Spring Branch, and some parts of San Antonio. Many people may choose to host their own sale, but others find it extremely difficult to price and sell sentimental belongings while they know that keeping everything isn’t an option. That’s where we come in. We can assist your family by completely organizing and hosting your sale so that you don’t have to. At the end, we provide you with a detailed description of the sale along with your profit that was earned from your sale. We do not intend to keep anything that was not sold at the sale, so our desire is to ensure that we sell as much as possible! We aim to be extremely compassionate during this time of transition in your life because we understand the value of family, and the difficulty of transition. Call Us Today!! We would LOVE to work with you!